9th-graders will receive K9-cards, which are intended to motivate students to use the city's cultural services independently. 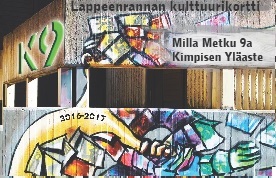 In its largest support project in the history of Suomen Kulttuurirahasto (Finnish Cultural Foundation) offers three age groups of eight graders, a total of 180 000 youths and their instructors an opportunity to visit two pre-agreed cultural locations: opera, theater, consert, art exhibition etc. Svenska kulturfonden (Swedish Cultural Foundation) participates in the funding of this bilingual project as well. 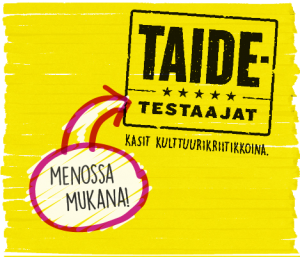 The project is co-ordinated by Suomen lastenkulttuurikeskusten liitto (Finnish children’s cultural centers association). The project is part of Finlands hundred years of independence program.